Diligence in writing for this blog is something I strive for and fail at daily. I always have much I want to say, but the brain fog has gotten in the way of my ability to do so with confidence. Well – I am determined to out do the brain fog and have a new post every day in October. Yes the Daily Bible Readings will continue. Yes the #ProverbsEveryDay will continue. This will be in addition to that. 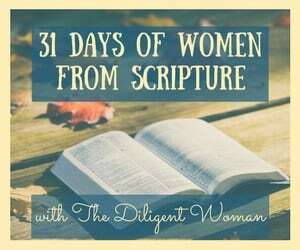 Why 31 Days of Women from Scripture? 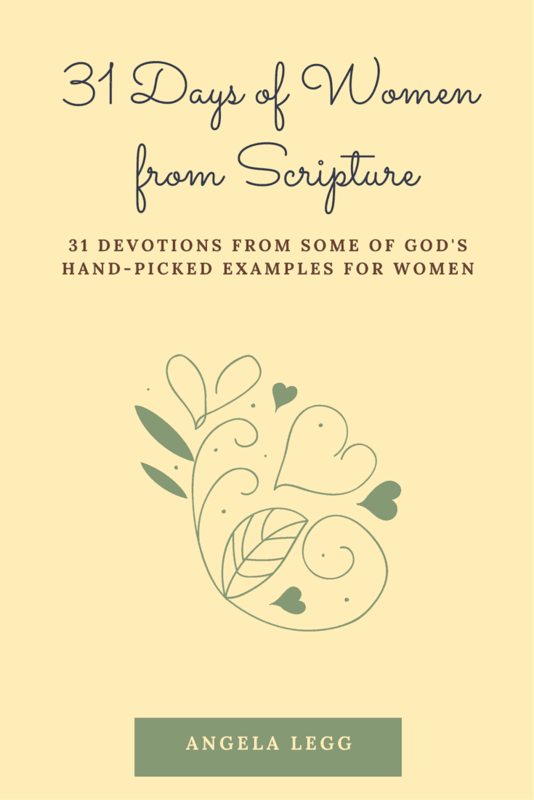 I wrote my book To Be a Handmaid of the Lord in 2013 because I wanted the young girls in my life, especially our five daughters, to be confident in their own skin. I wanted them to KNOW God had made each of them special. They did not need to try and change who they were to be like another girl they thought was doing things better. God gave them their beautiful eyes, hair, and shape. I did not want them to seek happiness in changing what was their own nature. Ugly behavior, yes let’s change that, but who you are and the way you think, let’s leave that alone. I want to continue to encourage women of every age to see how God lifts women up and has provided for the needs He KNOWS they have. My prayer is that this series will be encouraging to you and that it will help me to find my voice once again. So sign up for our newsletter so you get each day’s new post directly in your email. 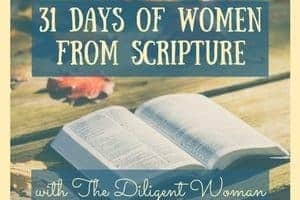 Follow The Diligent Woman on Instagram, Facebook, Pinterest and Twitter to chat about your thoughts on the “Woman of the Day”. This challenge comes via https://write31days.com/ – check out the other bloggers who are also taking this challenge. See who else has something inspirational and beneficial to share with you that you can also share with others. 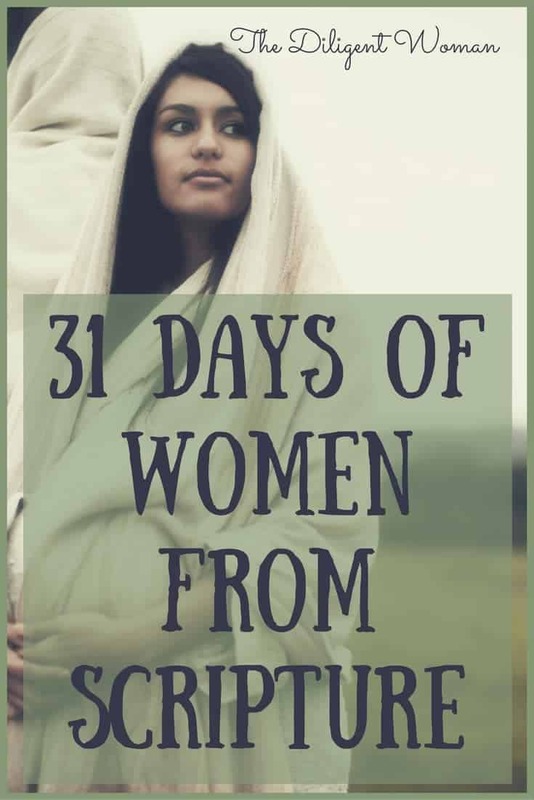 Click the button below to sign up for the 31 Days of Women from Scripture to be delivered right to your email AND to get your FREE Personal Journey journal that goes along with the study. 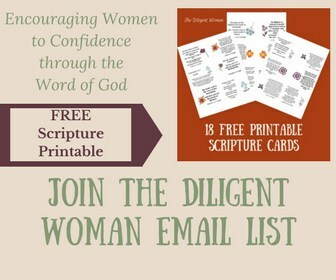 Daily proverbs, bible readings AND women of the Bible. Wow, you are an overachiever! 🙂 Love your enthusiasm to encourage women on their faith journey! LOL – Um, yes – I tend to get excited about many large projects at once. 😀 Thank you for stopping by and sharing encouragement!